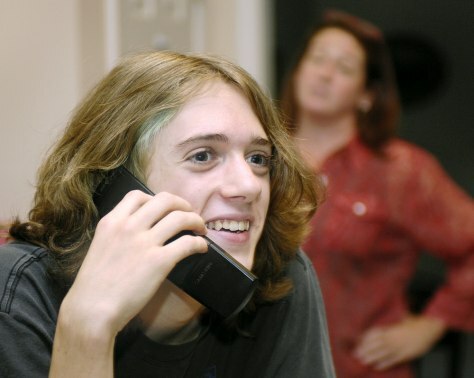 Sam Hill, 13, an eighth grader, speaks on a cell phone as his mother Carlton Hill, looks on in their Atlanta home. The Hill's have been using parental controls for the past four months on their cell phones. AT&T Inc., the United States' largest wireless carrier, will launch a service Tuesday giving parents wide-ranging control on almost all of its 63.7 million subscriber lines.